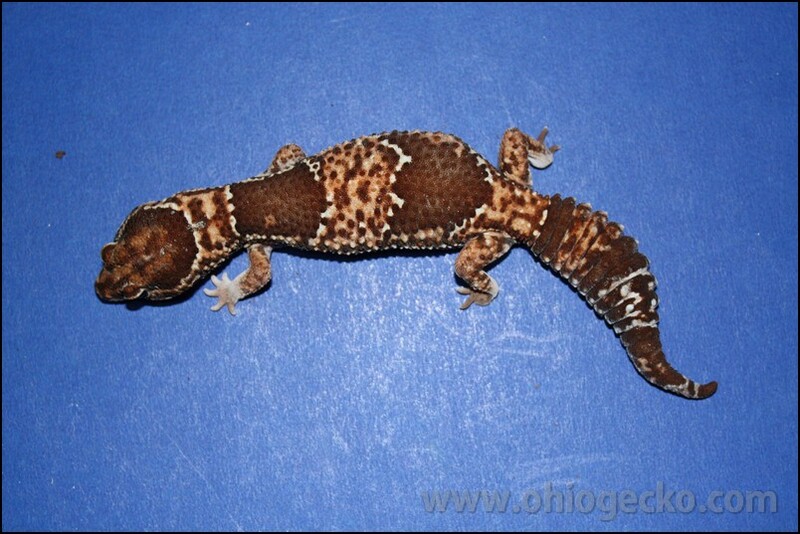 It is an exciting time to be an African Fat Tail Gecko (AFT) breeder. 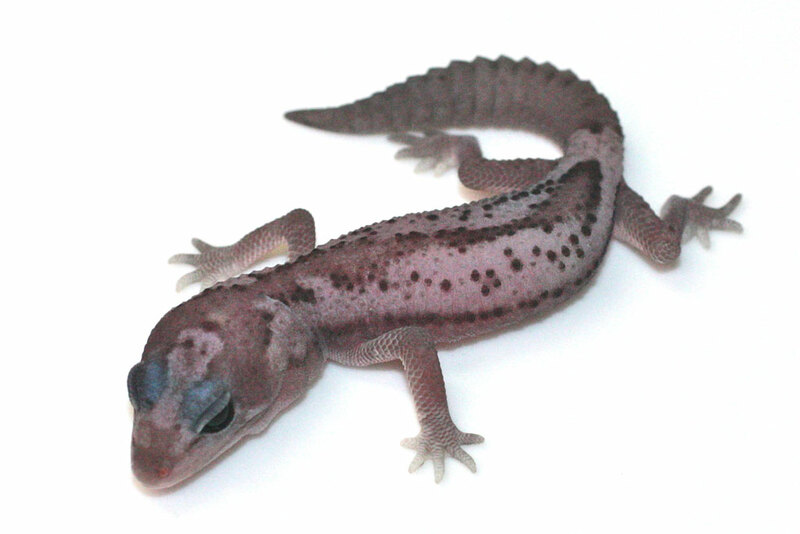 AFT breedings have been producing new morphs/genetics over the past 5-6 years and the excitement is starting to build. 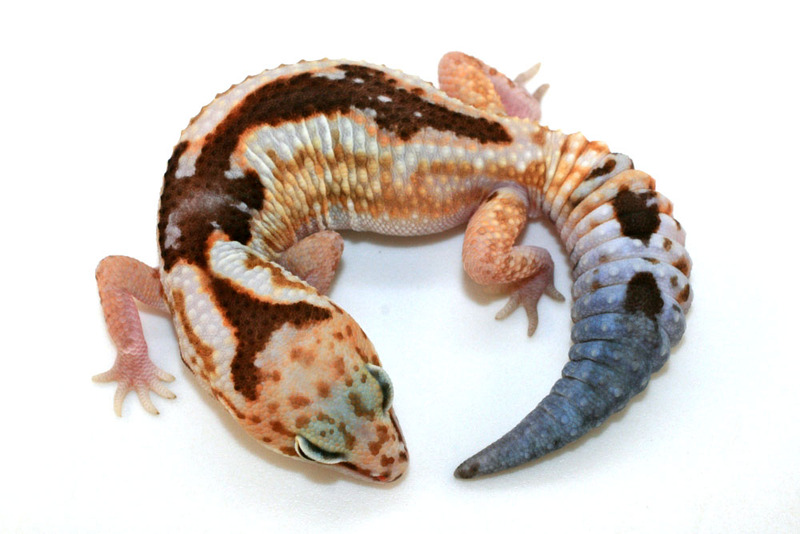 There are many combination morphs that have not been tried and breeders haven’t hit all the visual forms of the combinations they have produced. 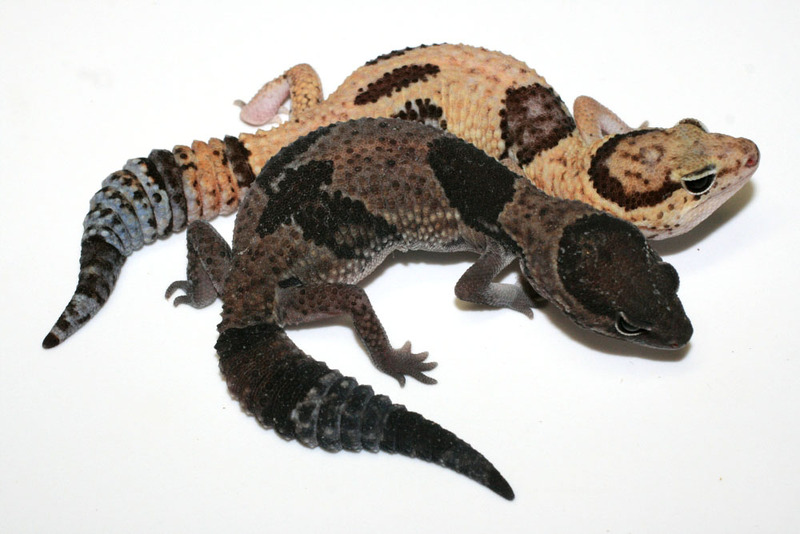 Below is a list of current African Fat Tail gecko morphs and their genetic make up. 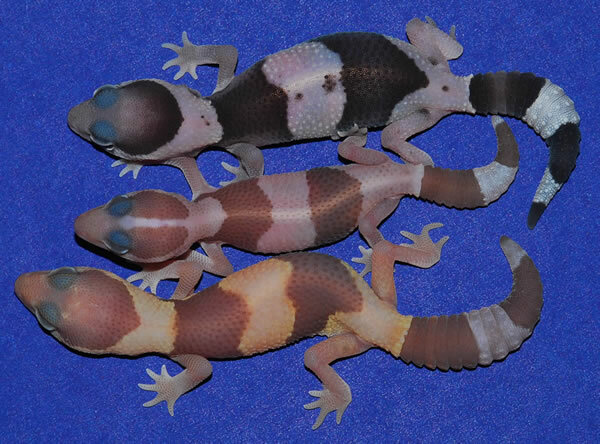 photo courtesy of Steve Sykes – Geckos Etc Zulu RecessiveThe back pattern looks similir to an arrow. photo courtesy of JMG Reptile Stinger The back bands are connected. 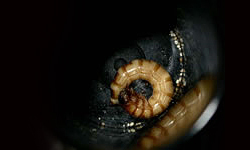 The bottom band comes to a point which resembles a stinger on an bee or wasp.Not proven: allelic with PatternlessThis is a newer morph and was originally thought to be co-dominant with the super form being a super stinger. 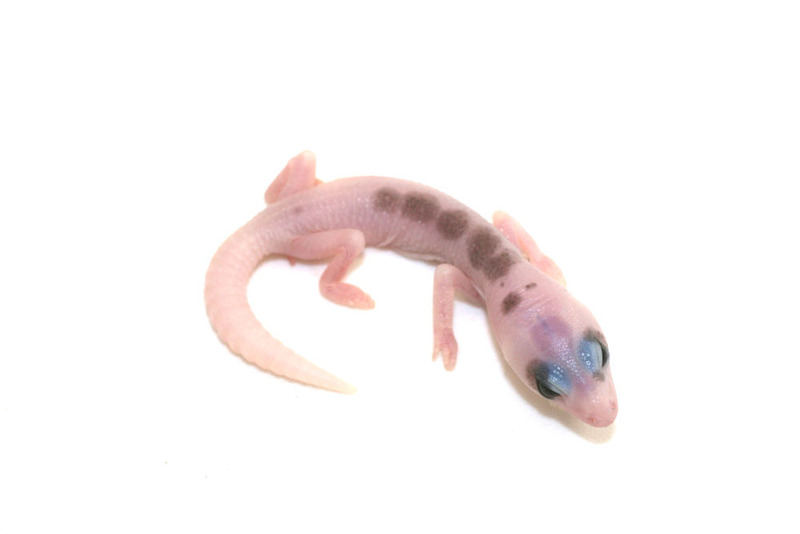 Super Stingers/Zeros have since been proven to be recessive. 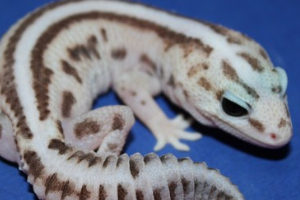 The stinger/zero form has been thought to be a heterozygous marker similar to highly speckled leopard geckos that are het for the simple recessive traits of patternless or blizzard. 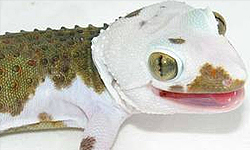 photo courtesy of JMG Reptile Super White Out Co-DominantSo far the super form has been proven to be lethal. All babies that have hatched have died within a couple of hours. 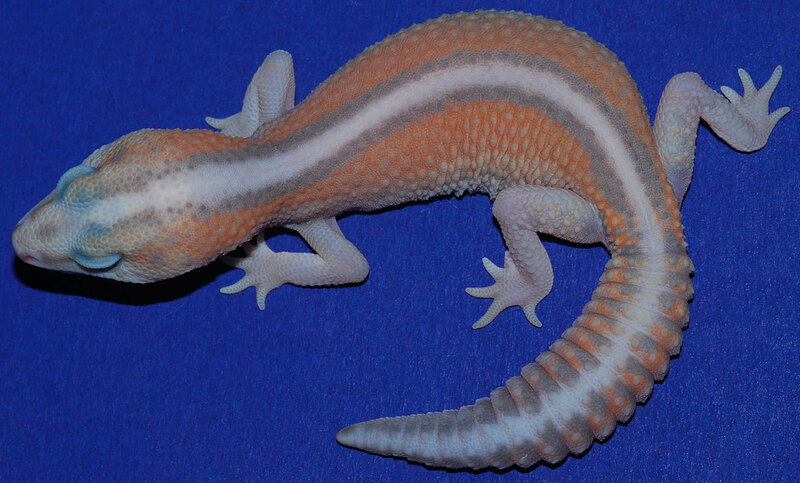 photo courtesy of Ohio Gecko Starburst Polygenetic/Line BredBlushed head with a tint of orange, blushed bands, orange at the base of the tail and light background coloring. 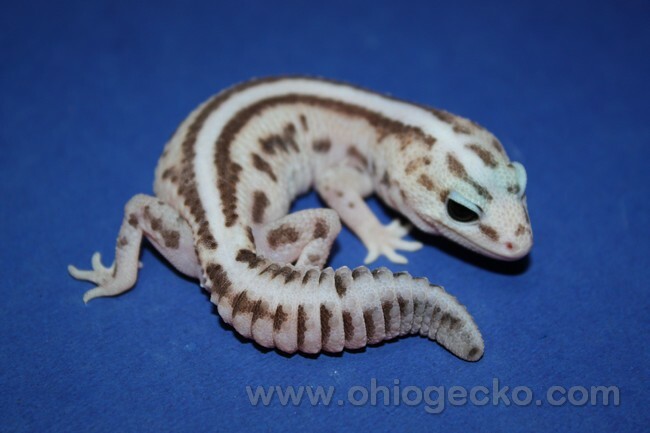 Thad Unkefer is the owner of Ohio Gecko,a family business, with his two sons Dylan, age 16, and Derek, age 14. Thad's wife Stephanie and three other children,Hayley 12, Anthony 10 and Addison 4 help out when needed. 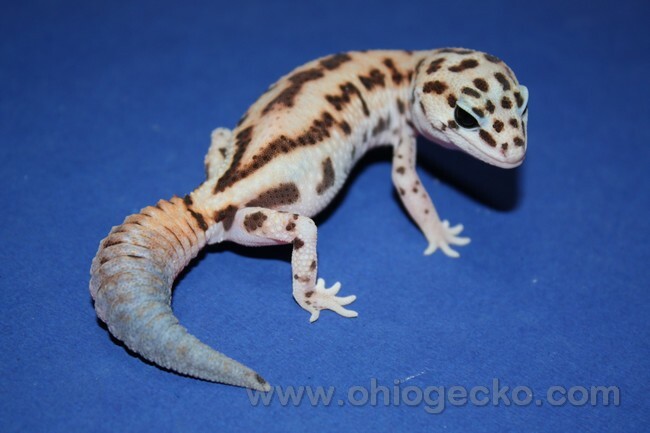 Ohio Gecko started in 2006 when Dylan was given a Leopard gecko and then Derek purchased a gecko to breed as an experimental project. 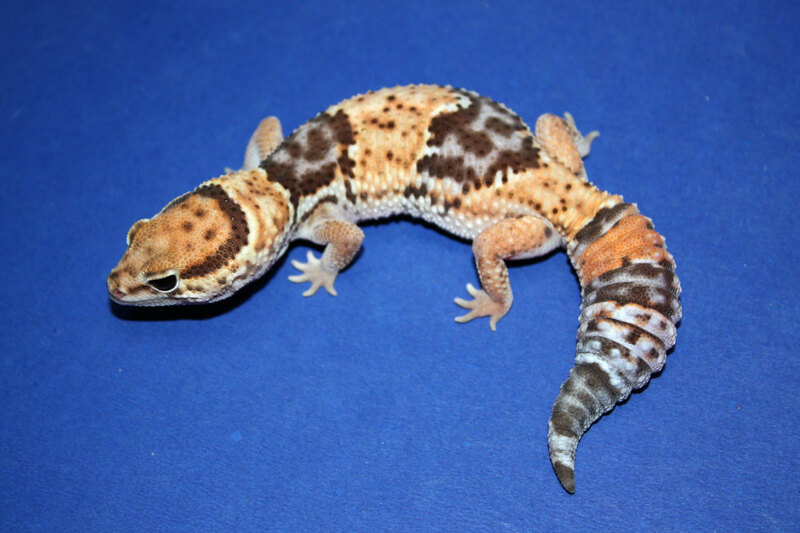 Their business has evolved over the years to include many other species including African Fat Tail geckos, Giant Day geckos, Bearded Dragons, Veiled Chameleons, Corn snakes and Western Hognose Snakes. 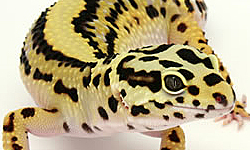 Thad has also acquired and operates www.leopardgeckowiki.com and recently www.geckoforums.net. Thanks for providing a quick reference to the AFT morphs, Thad. Well done. 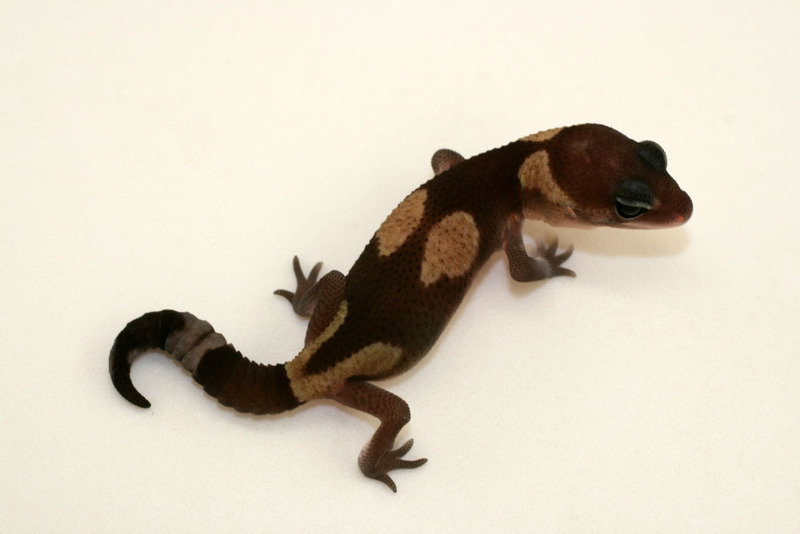 He got this gecko from a pet store, and he dosnt know what morph. I spent a couple hours today looking into it, but I’m left empty handed. Can anyone help me? We would need a picture to tell for sure, though I suspect that if he got it from a pet store it’s probably a normal. 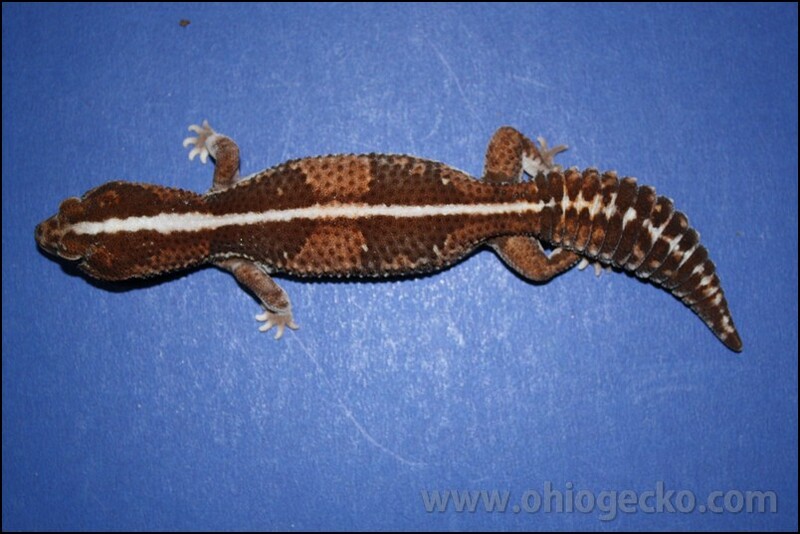 If it has bands of brown and darker brown, it’s a normal and if it has a white stripe from head to tail, it’s a striped normal. A picture would help a lot as well. Send me one at artport@rcn.com and I’ll tell you which it is.